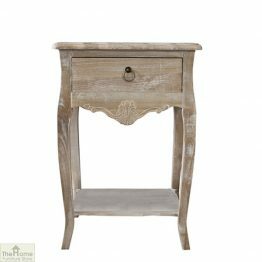 Casamoré Cotswold Bedside Table Unit is a part of the Casamoré Cotswold Antiqued Painted Collection, which will enhance your home with its fashionably distressed painted surfaces and gorgeous vintage cup handles. 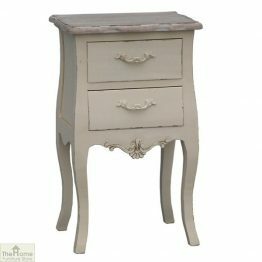 Measurements: W50 x D35 x H65cm. 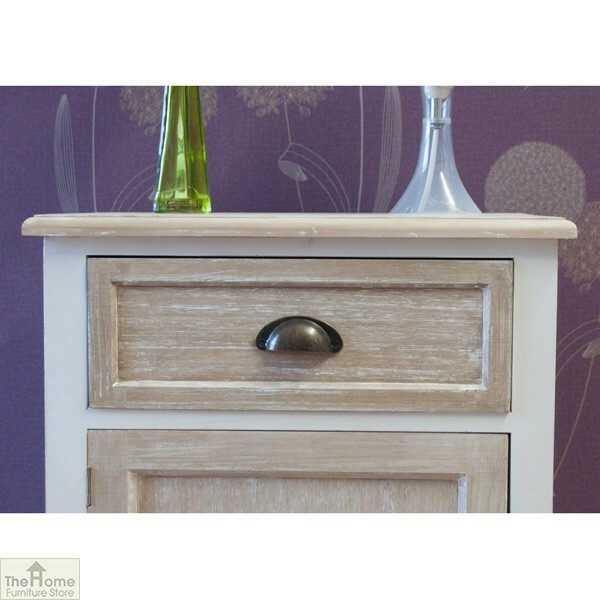 Part of the Casamoré Cotswold Antiqued Painted Collection. 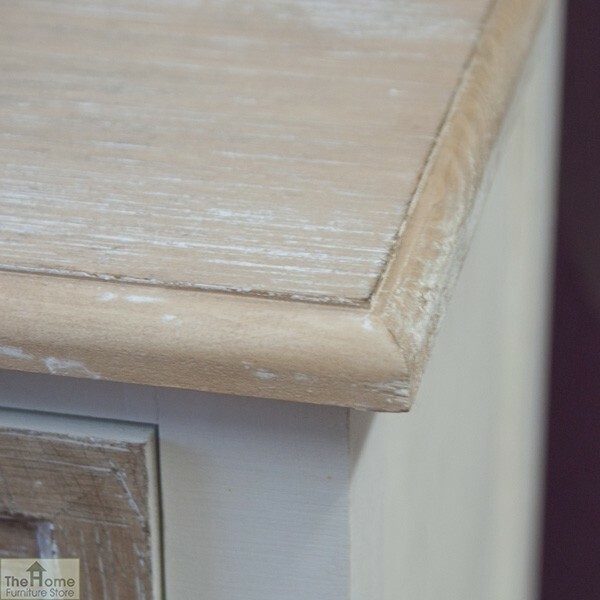 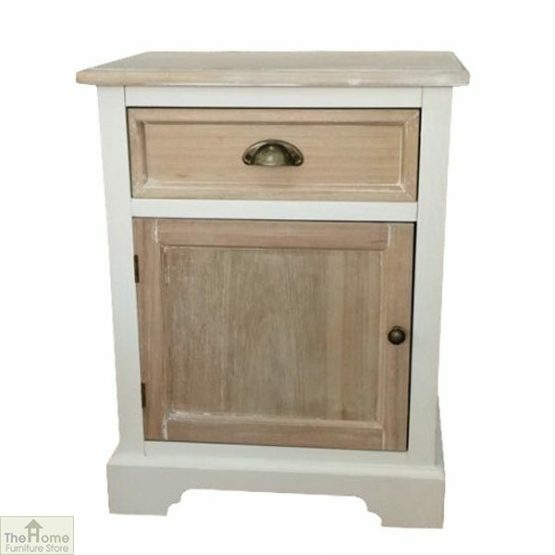 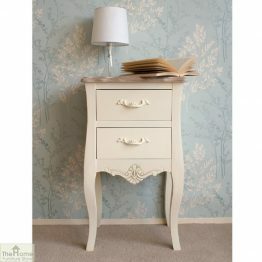 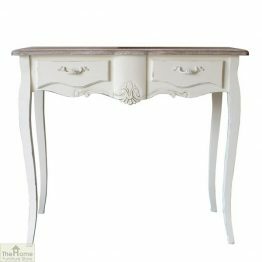 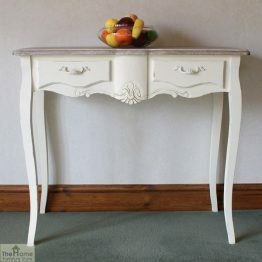 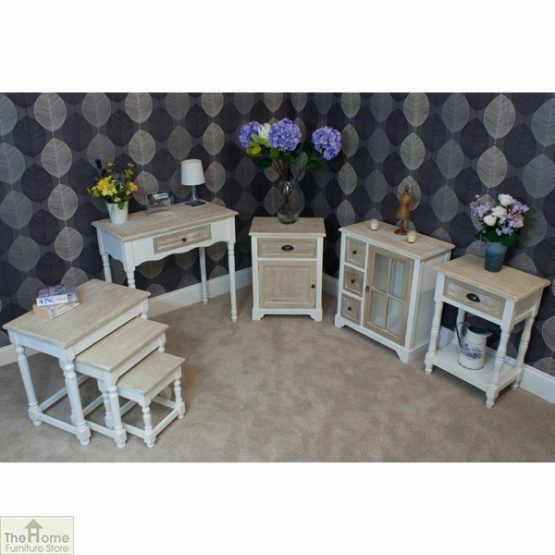 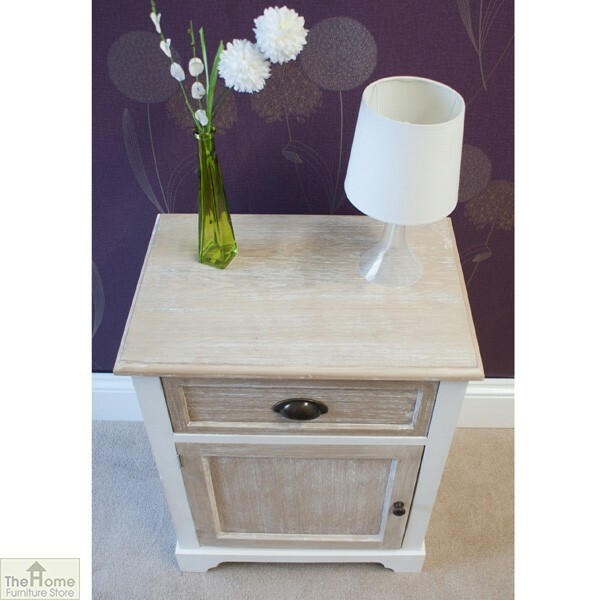 The frame of this beautiful bedside table is painted in an off-white shade and lime wash tops which have been slightly distressed for effect. 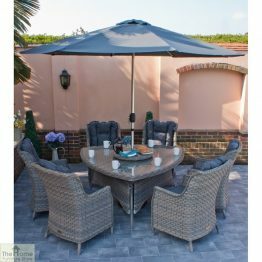 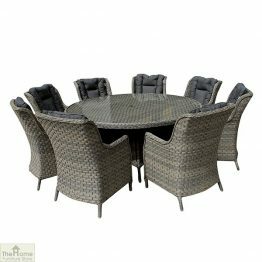 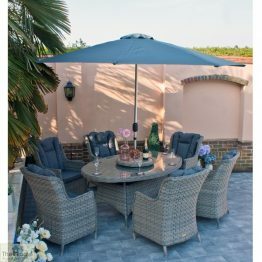 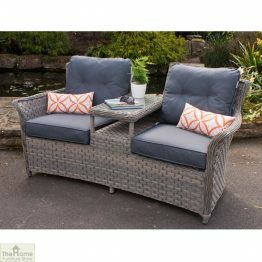 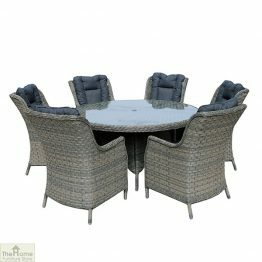 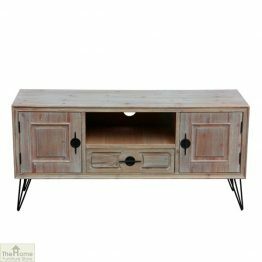 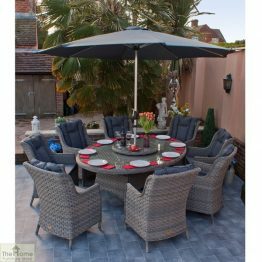 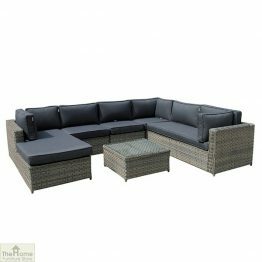 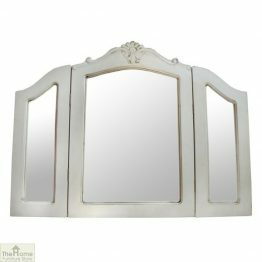 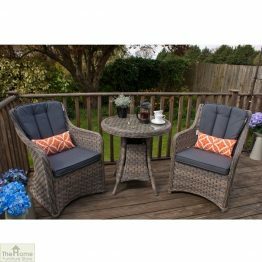 All the frames and legs are crafted from solid wood with veneer panels making this a solid piece of furniture.  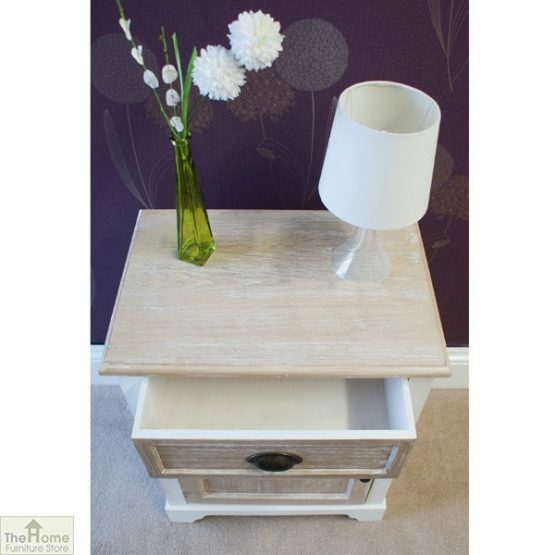 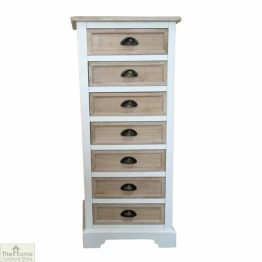 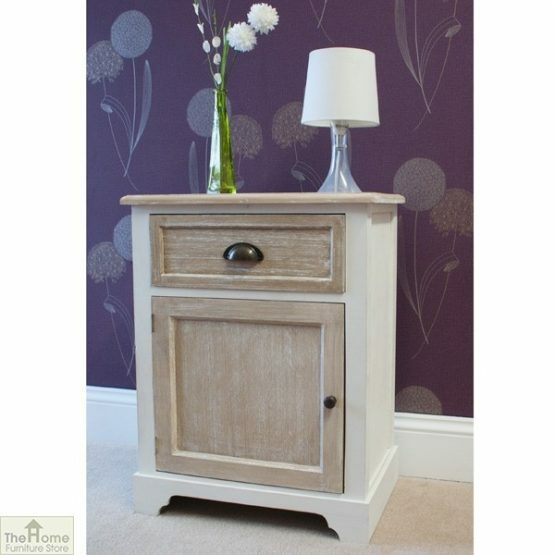 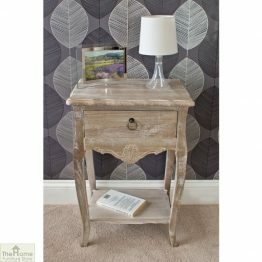 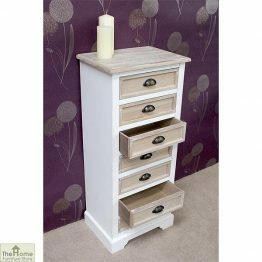 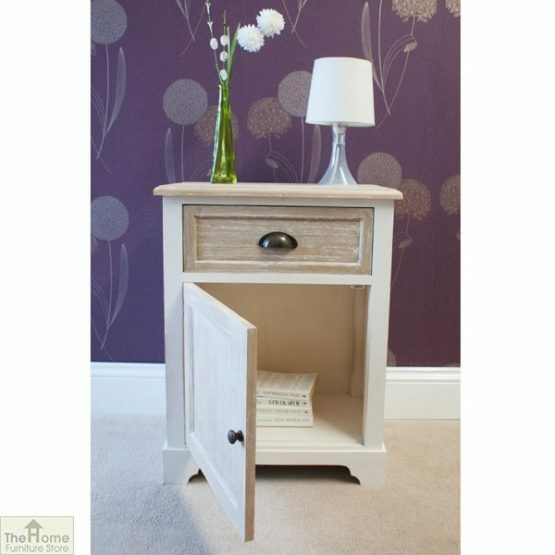 Featuring 1 generously sized drawer and cupboard, this stunning bedside table provides plenty of storage space and an eye catching focal point in any living room, dining room, hallway or bedroom.